Please refer to our stock # 10402 when inquiring. 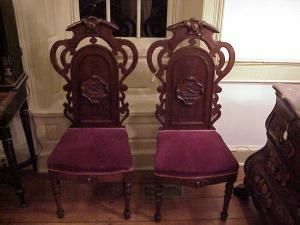 Chairs, Victorian. Walnut. Pair. Ship motif carvings on seat back.